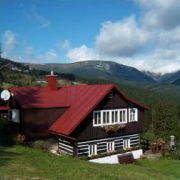 Family house in the centre of Pec pod Snezkou, in quiet part Mala Plan. Thanks this location the house is ideal … More » for downhill skiing or winter sports lowers and ideal staring point for hiking. Rooms with shower/WC and apartments, capacity 13 persons. Family guest-house with beautiful view, on downhill course Zahrádky. We offer 4 double rooms (shower, toilet) + … More » 2 extra beds. 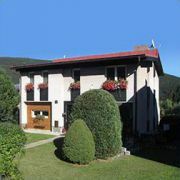 Kitchen (refrigerator, stove, microwave), washing machine, TV/SAT, WiFi, summer terrace and grill, parking. Discount guestcard.